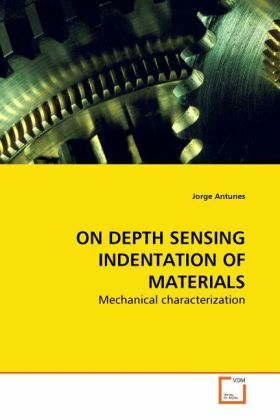 Depth Sensing Indentation (DSI) is used in the mechanical characterization of bulk and coated materials. The finite element method is used to perform three-dimensional numerical simulations of Vickers hardness tests. The modelling and the optimisation of the more significant parameters in the simulation of this test are treated in detail. The load-unloading curves are carefully studied and the indentation geometry is related to the material mechanical properties. For the case of bulk materials, different reverse analysis methodologies for evaluate the stress-plastic strain curve from the load-unloading indentation curve, are presented. A detailed study of indentation geometry and stress and strain distributions is performed on coated materials. The determination of the Young's modulus in thin films is analysed with reference to different models. Also, a reverse analysis methodology is used for the determination of the Young's modulus of coatings.